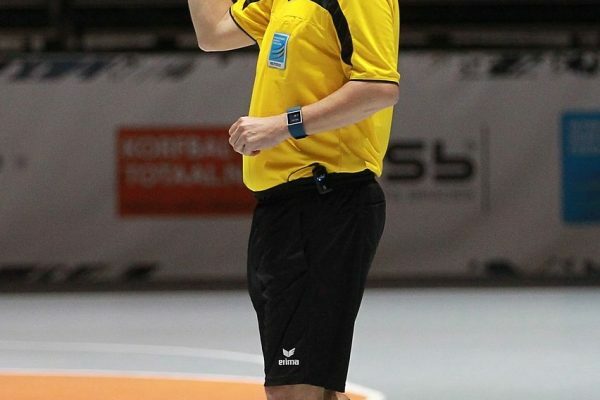 International Korfball Federation and England Korfball League referee Dean Woods earlier this month was nominated in the Axitour BV competition. The top prize was a AXIWI wireless communication system… we’re delighted that Dean was chosen as the winner. Congratulations Dean! Thomas Boogaarts from Axitour BV handed over the AXIWI wireless communication system to Steve Jones earlier today at the senior European Championships. The AXIWI wireless communication system is used by the top referees during the major IKF tournaments and also by referees in the Royal Dutch Korfball Federation (KNKV) and Dutch Korfball League.